Considering this everydayness, it’s surprising to find Phyllis in Billy Wilder’s much celebrated adaptation played by one of most popular actresses of the moment, Barbara Stanwyck. How do you make one of the most famous women in Hollywood ordinary? 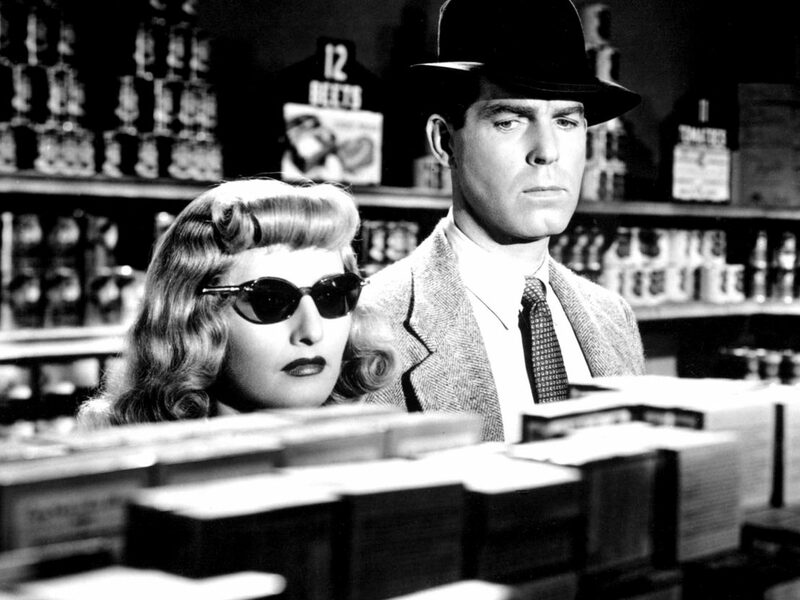 Yet in a remarkably knowing piece of casting against type, Stanwyck gave a performance that opened up her own range and ultimately defined exactly how to play the sort of evil temptresses that dominated film noir during this period. With the keen eye of Raymond Chandler on script duties, Wilder’s take on Cain’s novel is leaner, punishment-ridden and sharper, if only to toe the line with the Hays Code. Still, at its core is the story of insurance salesman and heeled sap Walter Neff (Fred MacMurray) who becomes quickly embroiled in the murder of Phyllis’ boring but wealthy husband (Tom Powers). Their ingenious plot to rid themselves of him goes to plan but soon unravels as Neff’s insurance mentor, Barton Keyes (Edward G Robinson), begins to suspect something awry with the huge payout now due to Phyllis. Add to this the conniving double crosses underneath Phyllis’ soft-eyed persona, her implication in the death of her husband’s first wife, and an affair with the lover (Byron Barr) of her step-daughter, Lola (Jean Heather), and a complex web of crime is laid. 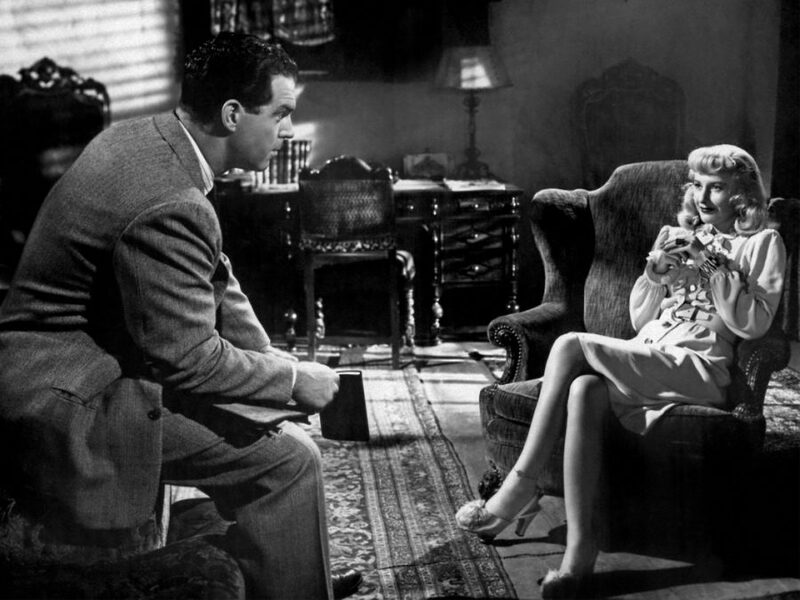 Double Indemnity has a hard edge, not least because Cain based it on a real-life murder committed by Ruth Snyder in the 1920s. The image of her execution on the electric chair on the front page of an edition of The Daily News is one of the most startling photographs of the Depression era. One of the most effective aspects of the film comes from the real-life scenario that inspired it: the murder was committed by ordinary, almost banal looking people. Tellingly, we barely see Phyllis in her first shot, half seen upstairs in a towel. It’s as if she fools the camera into believing she’s average. It’s understandable why Stanwyck was initially had reservations about taking the role. Her image at the time was glamorous, soft focussed, a pinnacle of sensual eroticism and yet simultaneously maternal. Would playing a ruthless killer of Joe Schmucks really damage her reputation? Wilder works well with her on the creation of Phyllis, a character that ironically seems to mimic the sort of Hollywood Hills prestige that Stanwyck herself was the epitome of. But she brilliantly gets it wrong. She wears an ill-fitting wig that brings out the contours of her face and dresses halfway between lazy lounge lizard and jaded housewife trying to retain youthful vibrancy. Even the anklet – the item of clothing that first draws Walter’s attention – feels fraudulent, a device so obviously concocted that only a loser of Neff’s calibre can’t see through it. All of it is contrived, but effectively so. In the novel Neff seems to be aware of this, though Chandler dampens it down or at least has Neff excuse himself as if he’s knowingly following his own death drive as well as the allure: “I wasn’t the only one that knew about that shape. 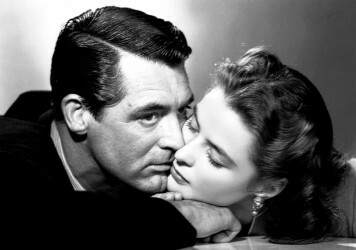 She knew about it herself, plenty.” It’s a shift that gives Stanwyck room to ramp up the ice. Within all of these high-shouldered trouser suits, pyjamas and indulgent faux-mourning clothing is Stanwyck herself. Her delivery is sharp yet detached, sparring with Neff who’s still a fast talker; a door-to-door salesman who knows the drill but ultimately is taken in by her honeysuckle charm. Behind this persona, sultry and alarming, lies a coldness. Her eyes seem to scream warnings of ulterior motives but it’s only pathos; Walter is still none the wiser, seeming to forget himself after his initial suspicions. Stanwyck uses all of that silver screen allure, a heroine image built over a decade of such roles. It’s almost as if she has removed herself from her own body, playing someone that desperately wants to inhabit her own real-life persona. She’s a blank canvas – and a dangerous one at that. “I’m rotten to the heart,” she admits later on, though it’s only a truth that trickles out in swift exchange for a bullet. It should be noted that at this point in her career Stanwyck wasn’t just at the top of her own game but at the top of every game: the highest paid actress in Hollywood with a handful of Academy Award nominations to her name. She was not a natural fit for the role of a killer; a grafter perhaps but not a manipulator like Phyllis. And yet Wilder could see perfectly well how an inversion of her on-screen persona could work. How all of that skill in her delivery, that open, naive heart and moments of feisty independence could be turned into something darker. By 1944 she had already played the con artist Jean in Preston Sturges’ The Lady Eve, but the stakes in Wilder’s film were much higher. Jokey card-sharking for a hapless heir’s cash seems miles away from the conniving Phyllis, playing everyone off against one another and doing so without a flicker of guilt – a precise, calculated evil that’s so effective even the character herself seems unaware of the reality. But then, think of an image that really defines Stanwyck as a performer. Chances are that, far from those warm, feisty roles of hard-worn lovers and cattle-ranchers, her enduring image will be that of a chancing vamp, hiding the emptiness of her eyes behind dark glasses while concocting murder in a supermarket. It is the ultimate image of masculine gullibility, of a sharp-witted puppet master, and one of the best villainous performances Hollywood ever saw.